Training camp is a time for players to show what they are made of. From an injured veteran looking to show he still has it to an unproven rookie trying to prove himself everyone gets a chance in training camp. 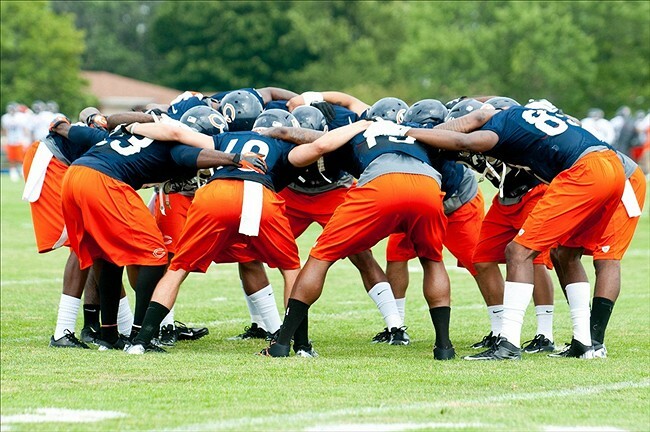 In Bourbonnais the Bears have been hard at work for almost a week with several players gaining the attention of the coaching staff, media, and fans. These individuals are fighting for both backup and starter positions this camp. Missing most of last year with a torn hamstring Hayden is an older player looking to prove he still has it. Kyle Fuller has been that talk of the camp but Hayden has proved that he can add depth to the cornerback position. Tim Jennings has been sitting out with an injury and Hayden has gotten valuable time in camp to get some work. Two interceptions and a few break ups so far this camp have coaches seeing that Hayden still has it. Camp is not over yet but Hayden is earning an opportunity if Tillman or Jennings goes down. Having a return specialist is a luxury in the NFL and the Bears have been beyond lucky with Devin Hester. With Hester gone the Bears have brought in former CFL speedster Chris Williams to fill the void at returner. Special teams coordinator Joe DeCamillis has raved about Williams speed and experience in the CFL. Williams has showcased his athleticism and explosiveness in both special team and receiver drills. Trestman is a former CFL coach has a general feel already for Williams. It's early in training camp but Williams is showing his worth as a special teams contributor. With Kyle Long sitting out due to a viral infection, Eben Britton has had the opportunity to run with the first team. Getting the reps is huge for not only him but also for the Bears. The big muller fits right into the system and serves as an extra blocker in jumbo packages. In camp he has held his own against the revamped 1st team defense but went down yesterday with an injury during 1 on 1 drills. He is currently listed as day to day but has proven himself a worthy asset to the Bears. When an athlete is coming off of an ACL injury you never know what quite to expect. Nate Collins is setting the expectations high with his play thus far in training camp. In 1 on 1 drills, he has shined the brightest of possibly all the defensive linemen. Collins has shown the ability to beat blockers with both good technique and power. The battle for the backup quarterback position has definitely heated up with the emergence of Jimmy Clausen as the front runner. The former second round pick was not who the Panthers thought he was but Trestman could be revitalizing Clausen's career. In camp this week Clausen has manned the two minute drill like a leader and has been on target with his passes though most of the week. Clausen could be this year's Josh McCown barring a Cutler injury. I haven't seen it posted anywhere yet, but I got the call from my step dad (who is friends with Ed) that he passed away this week. He was known to many as "The Meanest Man in Pro Football" and was nicknamed "The Claw." He played for 12 seasons with the Chicago Bears and is credited with calling attention to the NFL's defensive players. Bears coach Papa Bear Halas referred to Sprinkle as "the greatest pass-rusher I've ever seen" and "a rough, tough ballplayer, but not a dirty one." Sprinkle claimed that his aggressive play was similar to that found all over the NFL throughout the 1950s. According to Sprinkle, "We were meaner in the 1950s because there were fewer positions and we fought harder for them. It was a different era." 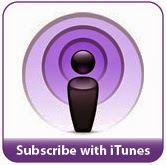 The best damn Chicago sports podcast around. In episode 21, we record in front of the Tony Gwynn statue at Petco Park in downtown San Diego. 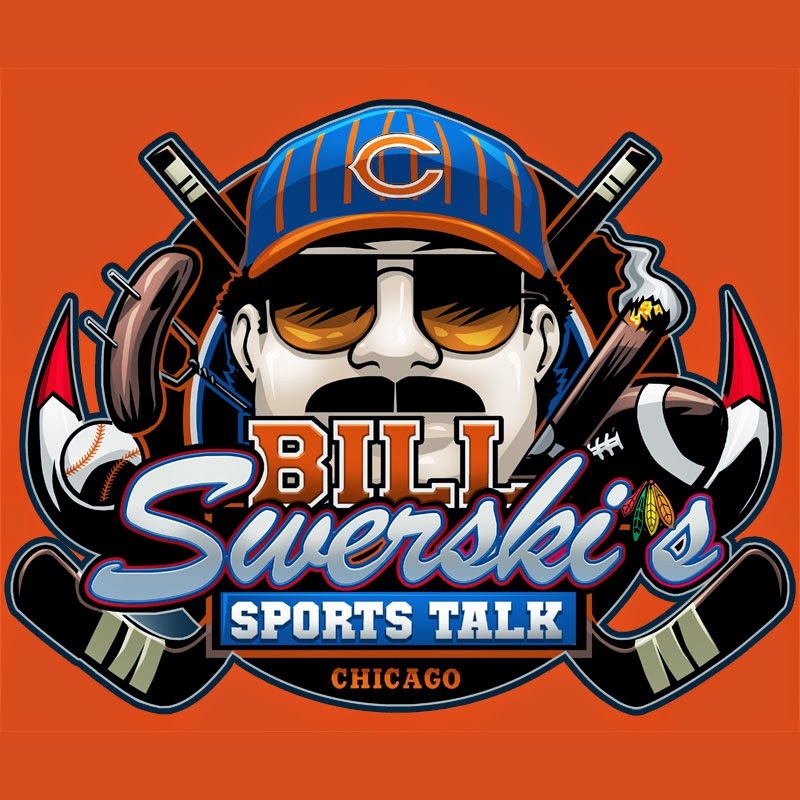 We talk Olt and Barney gone from the Cubs, the White Sox closer situation, fights at Bears training camp, and the Bulls wagering that all they need is Love. 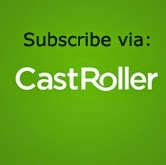 The best damn Chicago sports podcast around. In episode 20, we talk what to expect from the Chicago Cubs and Chicago White Sox in the 2nd half of the season, the impressive showing of Toni Snell and Doug McDermott in the NBA Summer League, Chicago Bears training camp, Toews and Kane re-signing, and everything in between. Run in the Chicago Bears Super Bears 5k, help support the Bears Care charity, and possibly win Chicago Bears Nike shoes. After only 23 games, Chicago Cubs first round pick Kyle Schwarber has been promoted to High-A Daytona. 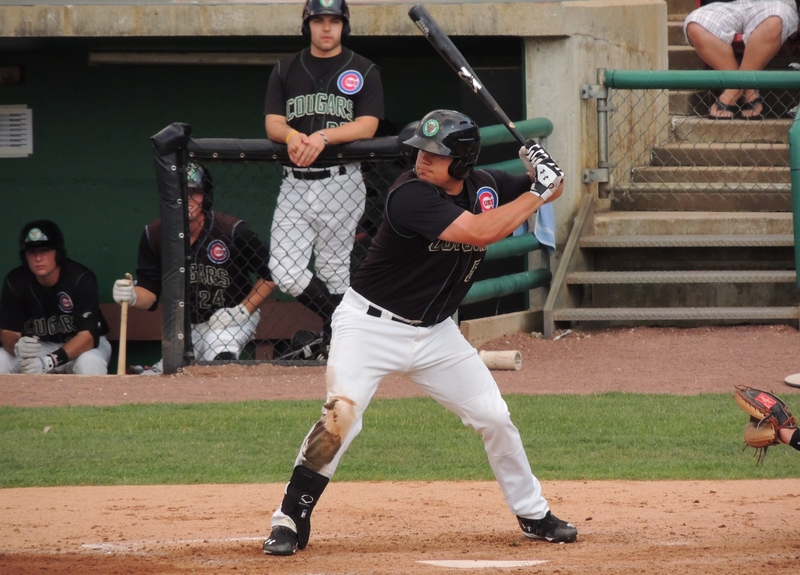 During his tenure at Kane County, Schwarber was hitting .361 with a 1.050 OPS. If you include the 5 games he played in Idaho, the Indiana University product is hitting .408 with eight home runs and 25 RBIs with a 1.231 OPS. The NFL.com site released their "power rankings" of NFL head coaches. They rank Chicago Bear head coach Marc Trestman as #24. Trestman was the 2nd to last ranked head coach with at least one year experience. Your thoughts? Click link above for the NBA official video. With the recent free agent and draft acquisitions, the Chicago Bulls now have 5 and 1/2 white players* on their team. 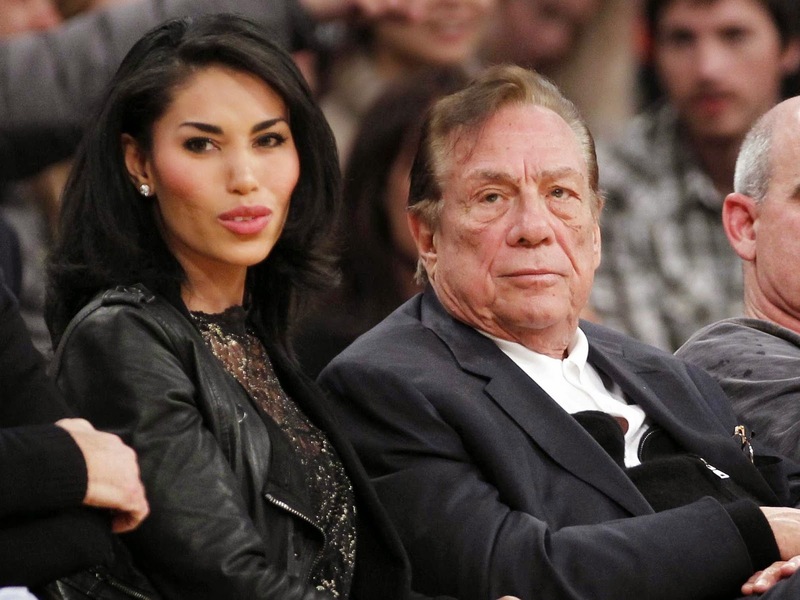 This is clearly a sign that Reinsdorf is creating a team that is much too enticing for Sterling to pass up in an attempt to separate him from his recent $2B windfall. * Pau Gasol, Nikola Mirotic, Mike Dunleavy, Doug McDermott, Kirk Hinrich, and Joakim Noah. The Chicago Bulls 2011 first round draft choice, Nikola Mirotic has finally signed with the team. He signed a 3-year, $17 million contract. 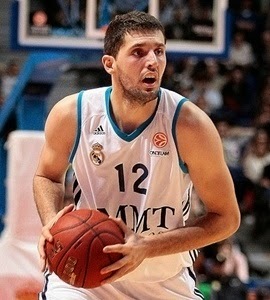 The 6'10" Montenegrin has played the last several years with Real Madrid. As Bears fans, I can safely assume that none of us was ultimately happy with the end result of the 2013 season. Our offense finally started to click, yet once again, we just failed to make the playoffs. Let's take a bit of a closer look at the numbers to hopefully get a better look at what to expect for the 2014 season. The hot new craze in the NFL is running a lot of plays. Chip Kelly and the Eagles are the ones on the forefront, but Manning and the Broncos take it to a new level. But I scanned over the numbers for number of offensive plays run and there didn't seem to be any sort of correlation. But when you look at scoring combined with number of plays, it actually starts to tell a story. If you take the total points and divide it by the number of plays run, you end up with number of points scored per play. This gives you a value of how efficient the offense is. When you rank the best points per play teams, suddenly you have a stat that seems to show something. Teams 1 and 4 were in the Super Bowl. Only 3 teams in the top half didn't make the playoffs. So it isn't necessarily how many points you score or how many plays you run, it's how efficiently you're running plays. The good news? The Bears were ranked #3 in points per play. NUMBER THREE! The only other teams in the top 10 to not make the playoffs were the Dallas Cowboys. So how do we use this to project the upcoming season? We bring back the whole starting offense. We have a QB who has spent the off-season working on his craft. We have the quarterback guru head coach with a year under his belt and the whole offense having a year to live and learn the playbook. So I don't expect much, if any, fall off on the offensive end for the Bears. So I again expect them to be around the top 5 in points per play. However, the difference will lie in the defense. Statistically, the Bears had the 2nd to last ranked defense. That's terrible. But if you factor in a healthy squad and the upgrades through the draft and free agency, you make a fair assumption that the Bears defense will be around middle of the pack. If they are middle of the pack, we are looking at a 104 point swing in number of points allowed and another 60 less plays the opposing teams will run. If less opposing plays allowed equates to more plays run...we can estimate another 30 points in the season. This easily puts the Bears into the playoffs as a wildcard, if not the division title. Denver was the #1 offense based on points per play and had the 15th ranked defense...Super Bowl. 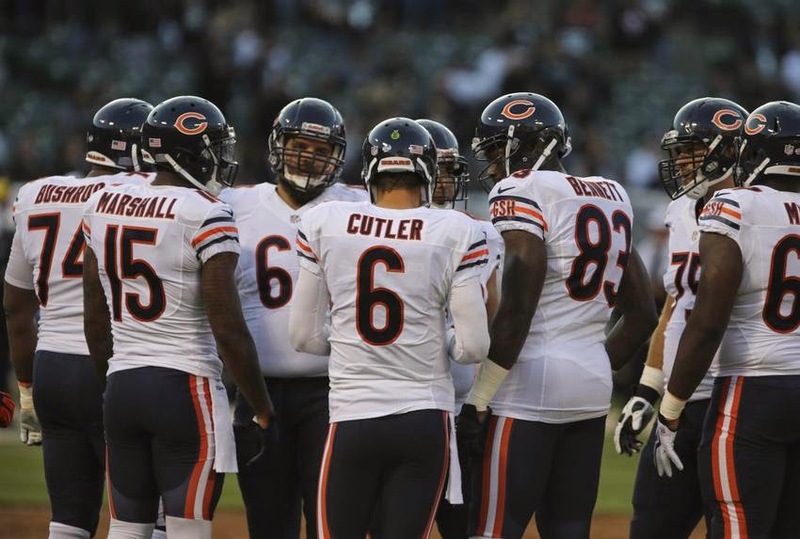 Having the Chicago Bears in this position is not beyond the realm of possibility. All of this is assuming no major injuries or minimal major injuries. 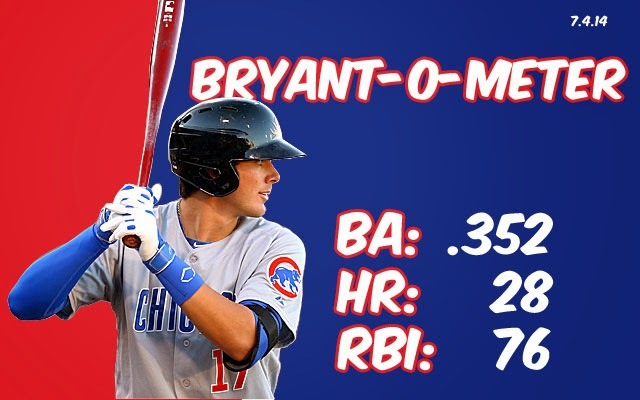 In homage to the Shawon-O-Meter from when I was younger, I plan to track two of the Cubs top prospects: Bryant and Baez. Happy 4th of July. 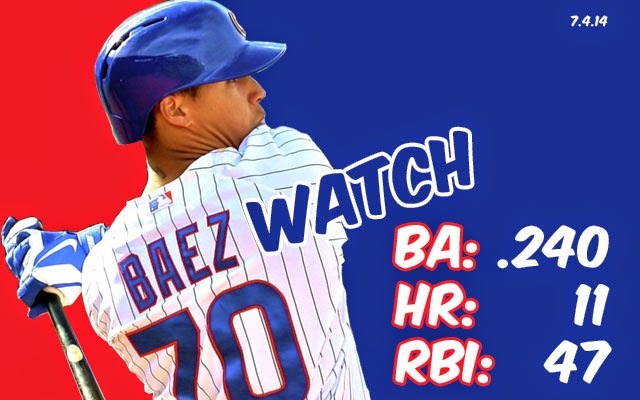 We've got big Cubs trade, Hawks signing Brad Richards, Carmelo Watch, Bears getting ready to open up training camp, and the White Sox with the best hitter/pitcher combo in baseball. Cubs were able to pull off a trade earlier than the deadline with the Oakland A's. Oakland will get the two Cubs pitchers, while the Cubs will get Oakland's top 2 prospects, a MLB starting pitcher and a player to be named later. 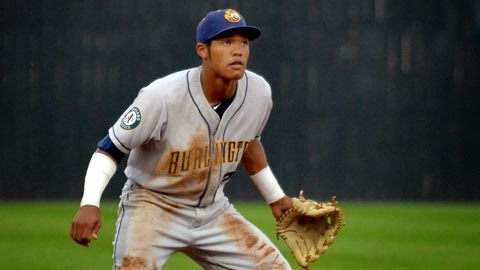 The players the Cubs will get include: Addison Russell, the #11 overall pick in the 2012 draft and a top 10 minor league prospect along with OF Billy McKinney, RHP Dan Strailey and a PTBNL. It's an interesting trade. We expected the Cubs to trade for young pitching, but instead they traded for hitting. With the pickup of Russell, the Cubs not only have the best minor league system in baseball, but they also have a very crowded future infield. Assuming nobody changes position (which isn't a safe bet), you've got Rizzo at first, Alcantara at 2nd, Baez and Castro at SS, Bryant at 3rd. Do the Cubs end up flipping some of that infield talent for pitching down the road? Will they make more moves before the trade deadline? No crystal ball, but I think both are fairly safe bets.